Designed for the convenience of everyday use and ideal under low light conditions, the new 5 megapixel SC50 microscope camera from Olympus is built on the latest CMOS chip technology to deliver improved speed, sensitivity and resolution at a truly affordable price. Achieving Full HD images at 32 fps, high speed imaging with the SC50 captures and records dynamic events. The camera delivers clear, high quality images to nearly every kind of monitor or projector, ready to be further analysed or shared with an audience and enhancing a range of applications throughout both life and materials science. Preventing the dispersal of light before it hits each pixel, the sensor’s “Light Guide” technology boosts the light sensitivity of the camera, with lower exposure times enabling clear image acquisition in low light, as well as high speed imaging. 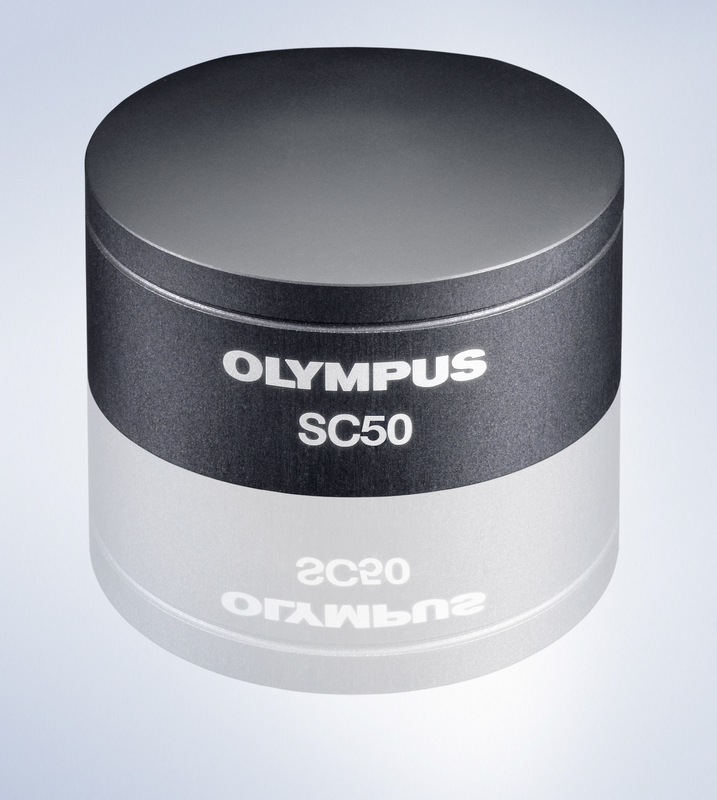 The SC50 actively keeps noise under control with Olympus Smart Image Averaging technology. While noise is virtually eliminated from the acquired image, the noise reduction algorithm cleverly detects sample movement and protects against “trail” artefacts. Fine focusing and the ability to zoom right into the image is now afforded not only by the chip’s 5 megapixel resolution, but with a new reduced pixel size of 2.2 microns, increasing lateral resolution and enabling a higher level of detail to be captured from the sample. Designed for ease of use, the SC50 also boasts an automatic and continuous White Balance feature. Regardless of illumination conditions, colours generated are always perfectly balanced and devoid of any colour cast – without the need to constantly adjust the camera settings or correct images post-acquisition.